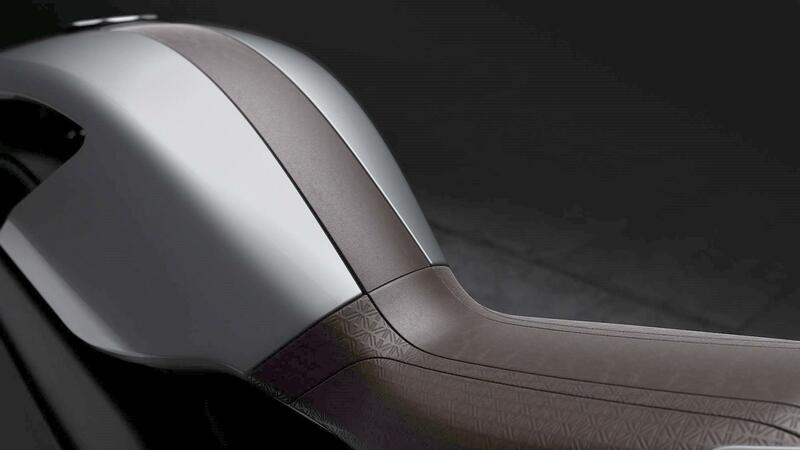 A sneak preview of Arc Vehicle's new Arc Vector electric cafe racer. 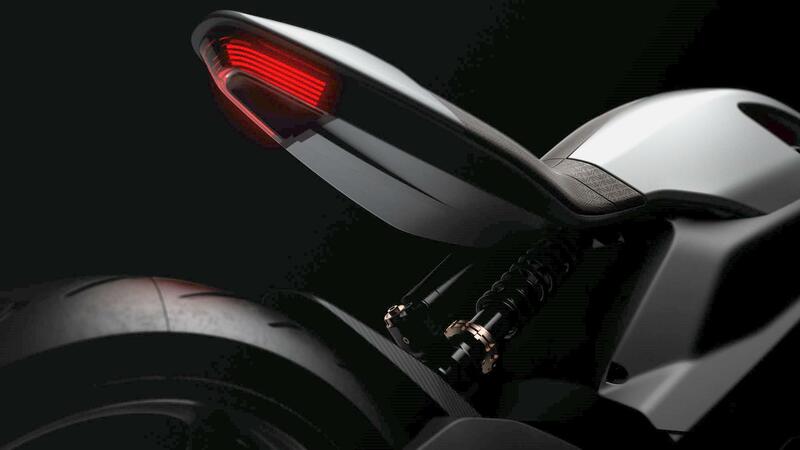 Radical British electric motorcycle company, Arc, have confirmed a host of new plans for the business, including a brand new production facility opposite Aston Martin in Wales, as well as revealing the latest steps towards getting its finished Vector bike on the road. Since the Vector was first unveiled in November, Arc have been hard at work refining the design and testing the bike on the track. This has resulted in a decision to use a larger motor, which not only guarantees the performance required but also improves the bike’s dynamics. Arc say they’ve gone through numerous revisions that have removed excess material, lowered the centre of gravity and reduce overall mass. With much of the testing now complete, the final parameters for the carbon swingarms are now being set allowing Arc to begin production tooling. Arc have also announced that they are to open a new, state-of-the-art manufacturing centre in Wales. 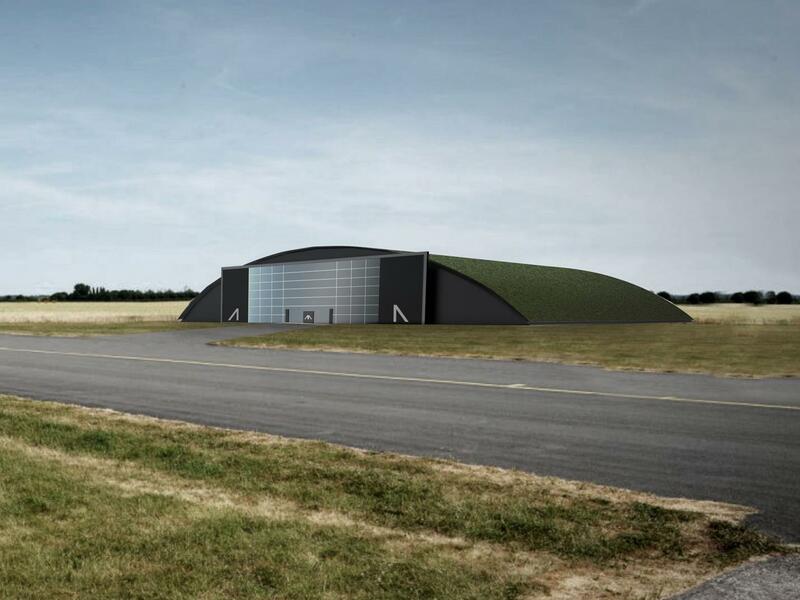 The 65,000 sqft St Athan facility will begin production in 2020 and will host not only bike production but also a club house, a test track and a helicopter landing pad, naturally. As part of their plan for growth, Arc are also opening up a crowdfunding opportunity. With investment packages ranging from serious investments in the hundreds of thousands to smaller packages for fans. The investment is part of a much larger round of fundraising, which includes the multi-year deal struck with principle backers Jaguar Land Rover. "The motorcycle community has played a huge part in my life growing up and in who I am today and I’ve always wanted to give something back to it," Arc founder Mark Truman told MCN. "Inspired by the likes of Barcelona football club which is owned by the fans, it felt right to me to open Arc up to this community, giving them a chance to invest in what we’re doing and our vision to improve and protect the joys of riding a motorcycle." British company Arc unveiled their all-new electric bike at Eicma 2018. All the ride info comes through a heads-up display in the helmet, which also acts as the ignition key. Riding feedback comes through electronics in your jacket, which plays music through your body. The Arc Vector will redefine the electric class. It weighs just 220kg and develops 133bhp and 292ftlb of torque. That means it goes from 0-60 in 3.1 seconds; the same as the 2019 BMW S1000RR. Tested to the European standard test, the Arc has a 362 miles of urban range. Better yet, use a fast charger and you’re fully powered-up in just 45 minutes. Arc’s founder, Mark Truman, was previously the head of Jaguar’s White Space (an out-of-the-box ideas division). 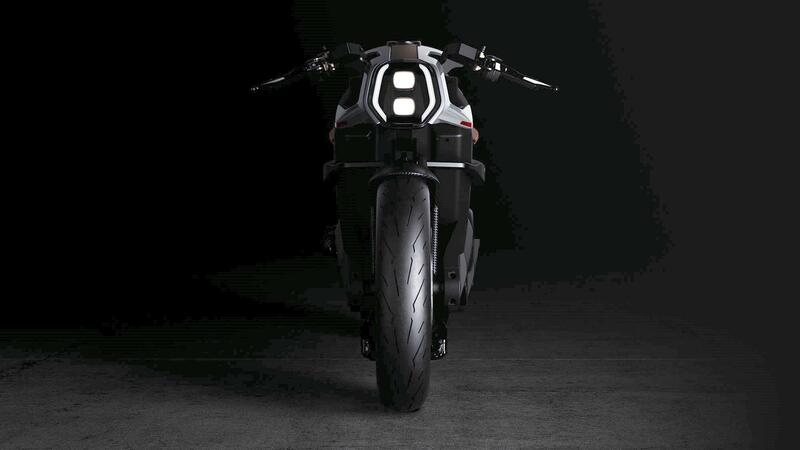 There he made the first concept for an electric bike, which has become the Vector. The engineer assembled a top team, including a MotoGP chief engineer, and FEA analysis specialists, to push the idea through to development stage and ultimately production. The project has been running for two years within this Whitespace department, with Arc Vehicle Ltd being established 18 months ago. Where the Arc Vector differs from other electric bikes we’ve seen is, well in pretty much everything. The whole thing is a monocoque with the battery, motor and all the internals housed in a carbon 'tub' that allows the front and rear suspension to be directly attached. This not only allows it to be very stiff, it's also very light. Arc haven’t released any figures yet but they’re saying the Vector is 25% lighter than the nearest competition. Thanks to exclusive battery tech it has a claimed 30% more capacity. "The cells we have are still prototypes," says Truman. "There is no other electric bike that will have the sort of cells we have." Each Vector will be custom made and will come with a helmet and jacket that form part of the system. Although the bike has to have a speedo and some idiot lights, the bulk of the info is displayed in an HUD in the helmet. Arc have also designed a haptic jacket which has a range of abilities from pumping through your favourite music to giving you a tap on the shoulder if there’s a car approaching from behind. Truman went on to say: "Technology, performance, safety and experience come together like never before on two wheels. 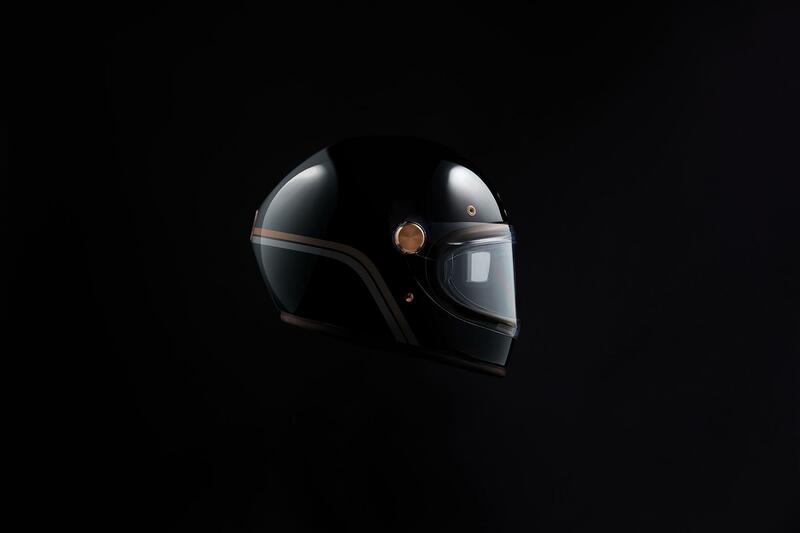 "The Vector is more than just the world's most premium electric motorcycle; it’s the world’s first motorcycle with integrated multisensory HMI (Human Machine Interface), it’s an innovative heads-up display helmet and it’s a tactile riding suit – all making up the most involving motorcycle experience on the market today." 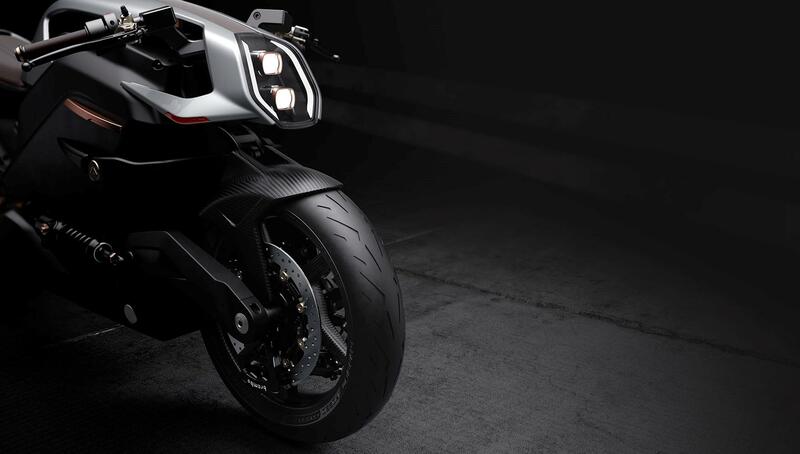 Meanwhile, perhaps surprisingly considering the front-end, the swingarm appears to be a far more conventional banana-shaped twin spar, also damped by a fully adjustable Öhlins monoshock. The wheels look exceptionally familiar, too – appearing to be either BST carbon fibre five-spokes, or clones of them. The rear brake caliper appears to be a twin-piston unit acting on a single disc, while the meaty front anchors look like 330mm discs being gripped by small 4-piston calipers (probably Brembo’s new Stylema calipers), unconventionally attached at the 6 o’clock position.